Designed by Alec Issigonis and launched in 1959, the original small MINI Cooper was sold as the Austin Seven and Morris Mini. It was a revolutionary design, with a transverse mounted front engine driving the front wheels (which has since become a standard drivetrain layout and copied by many Asian, European and North American brands), and allowed the utilization of significantly greater interior passenger space. This made it very practical and popular, and it was voted the second most influential car of the 20th Century after the Ford Model T.
In the 1990’s, as larger manufacturers bought up smaller specialty makers (e.g., GM with Saab, Ford with Jaguar), BMW acquired the Rover Group, which included Land Rover and MINI among others. The original “BMW MINI” released in 2001, was designed by American Frank Stephenson and chosen from 15 different designs. Stephenson’s aim was for the car to be distinctive and unmistakably a MINI. Now on the third generation of vehicles under BMW’s ownership, the MINI lineup comprises two to six variations of five body styles, 2 and 4 door hardtops, convertible, Clubman and Countryman. At Pacific Motorsports in Portland, OR we are specialists when it comes to MINI and MINI Cooper repairs and services since their reintroduction. If you’re looking for high-end MINI service, repairs and friendly customer service, look no further than the experts at our full-service MINI auto repair shop. Our Level 1 factory trained master technicians (BMW and MINI’s highest worldwide qualification) can handle any repair or service that your vehicle may need. If you are experiencing any of these issues, or any others, don’t hesitate to give our shop a call to schedule an appointment. Our master technicians will determine the exact cause of the issue and restore your vehicle back to proper working condition. Our Portland auto repair shop has the latest MINI factory diagnostic and programming equipment to accurately diagnose and repair your vehicle. We offer reliable service, fair pricing, free local shuttle service for clients, discounted rental cars, free wi-fi and coffee, and a comfortable waiting area for your convenience. We also offer a 2 year/24,000 mile warranty on MINI repairs and services using the best OEM parts. We also use the finest factory approved filters and lubricants from Total, Liqui Moly and Redline. 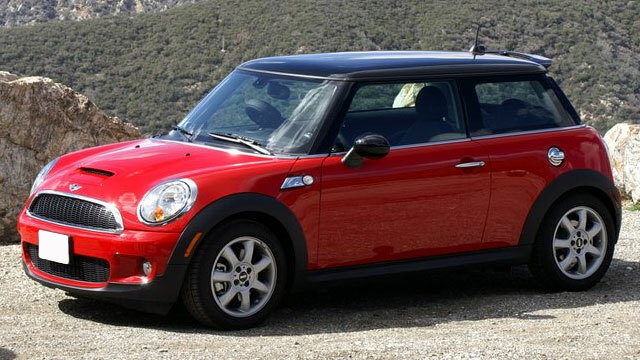 For professional MINI and MINI Cooper services and repairs, bring your vehicle into Pacific Motorsports in Portland, OR.